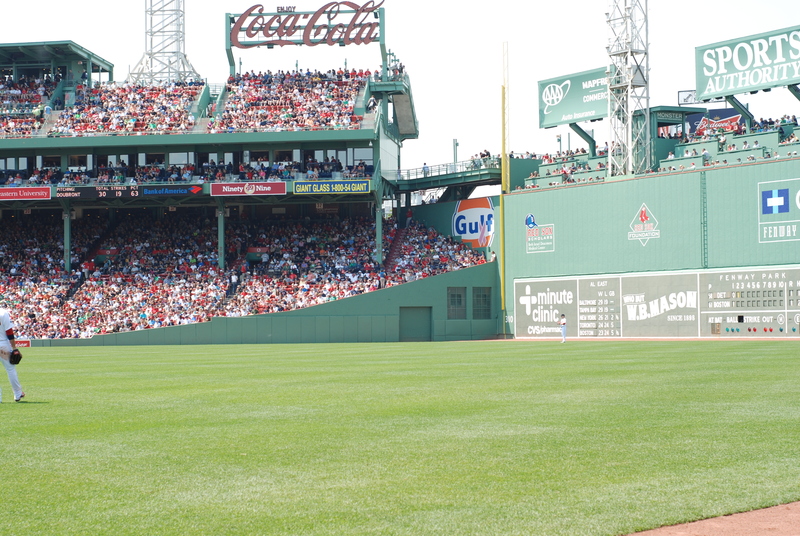 I recently took my wife and daughter for their very first visit to Fenway Park. 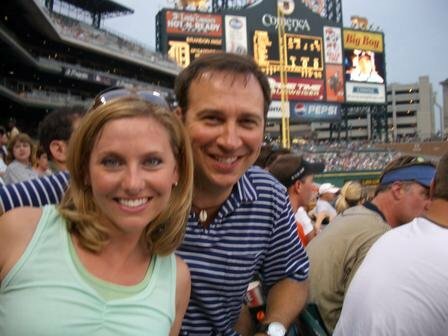 Kara doesn’t have that much interest in baseball, and actually hadn’t been to a game since we went to Comerica Park in her hometown of Detroit nearly a decade ago. I figure Kara made me sit through the coma inducing “Eat, Pray, Love,” at the movies, so I felt no guilt whatsoever in dragging her off to something that was actually fun. 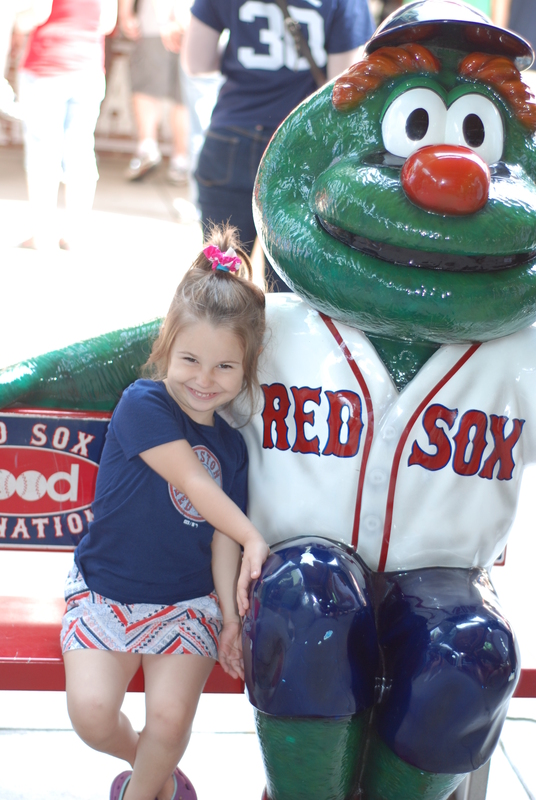 My daughter hasn’t shown much interest in America’s pastime either, but she was excited by the prospect of visiting an old historic park, seeing the game for the first time, and eating food in the stands. 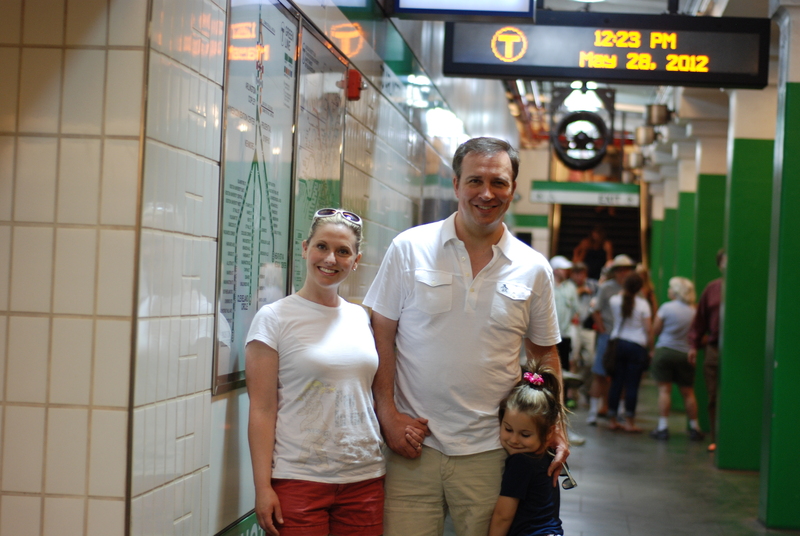 Riding the T was also a highlight of the day. It was brutally hot in my brother’s seats in the right field grandstands, which are really some of the best seats at Fenway. One sitting there could literally reach over and touch a player. Hmmm, wonder if anyone has ever done that? 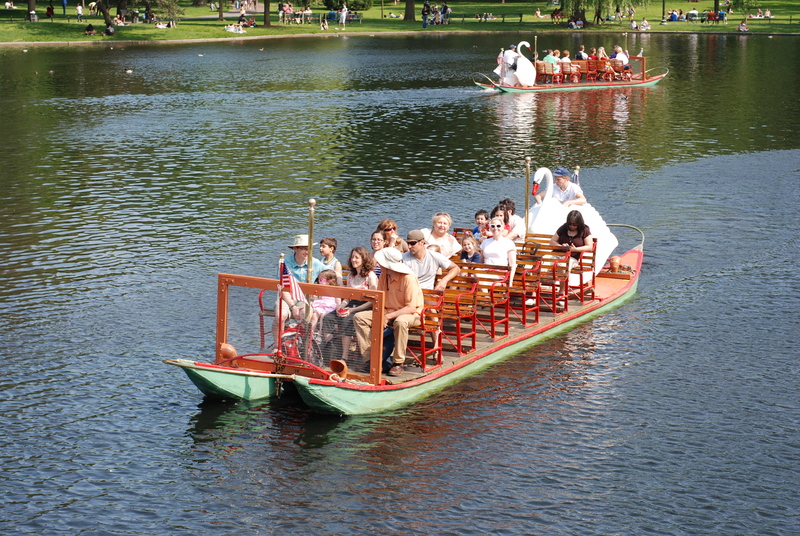 We wrapped up our trip to Boston with a trip to the famous Swan Boats in the Public Garden. My mother, who lives in suburban Boston, also trekked in for this momentous occasion in the life of my 5 year old. You can see the three House girls in this picture. It’s amazing how a water attraction can bring out people. 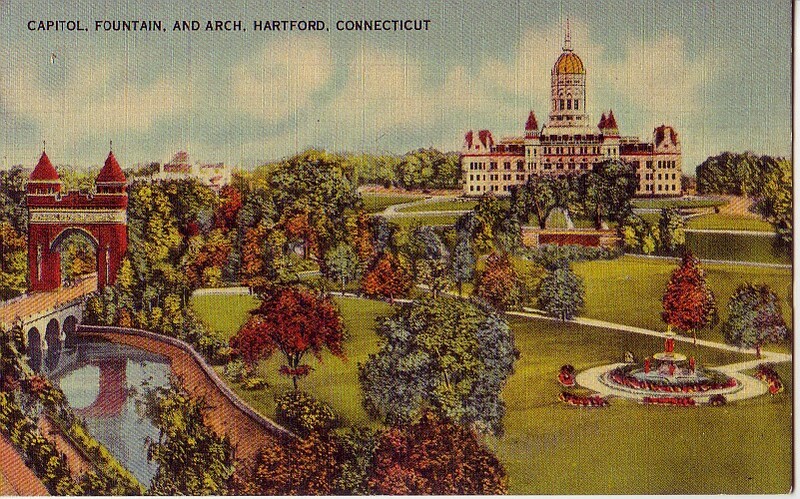 Hartford should really speed up plans to bring back the river that once ran through Bushnell Park. Very nice; however, if you brought them to Yankee Stadium to see a real team play..maybe, they would show an interest..just sayin’ 🙂 Seriously though, very nice pics and glad you all had fun. One word for Boston trips— Precious!! Separate – Hartford needs one or two things other than the safetyissues and known items to draw people. First, a true attraction (Space Needle or CN Tower), if you have ever seen either in the flesh you know why – small footprint acreage wise and think of the view a high class meal or meeting from above. The other, I agree bring the old Park River back maybe gondola rides, a la Venice — neither will be in our lifetimes, which is sad.. great!!!! why do you not include Julian, terror or not, rewards like this are great to change, no one wanted to take my nephew any where at this age but me….and he was excellent, and today we have an amazing bond!!!!! kids give you what you expect!!!! truely hurts my heart… no one loves loves kids more than i do, and i am always for the undder dog!! !